From left to right: Campus assistant director Cathy Whitfield, campus director John Keeney, Tammy Garrett, Ronald Russell, Christina Baldwin, Kevin Johnson and campus senior advisor Thelma Arthur following the Sigma Beta Delta induction. Columbia College–Lake Ozark senior students Christina Baldwin (Osage Beach, Mo. ), Deborah Dixon (Fulton, Mo. 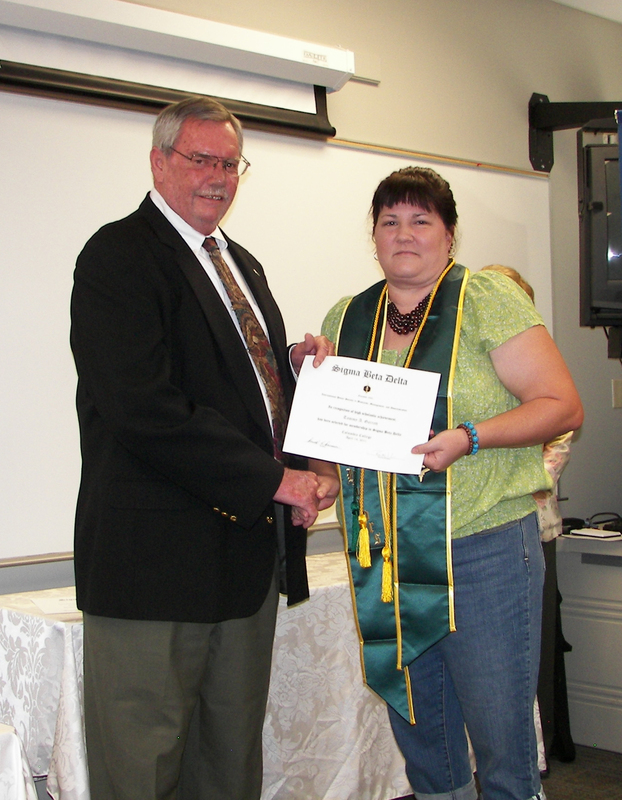 ), Tammy Garrett (Macks Creek, Mo. ), Kevin Johnson (Four Seasons, Mo.) and Ronald Russell (Camdenton, Mo.) have been inducted into the Columbia College Chapter of Sigma Beta Delta. 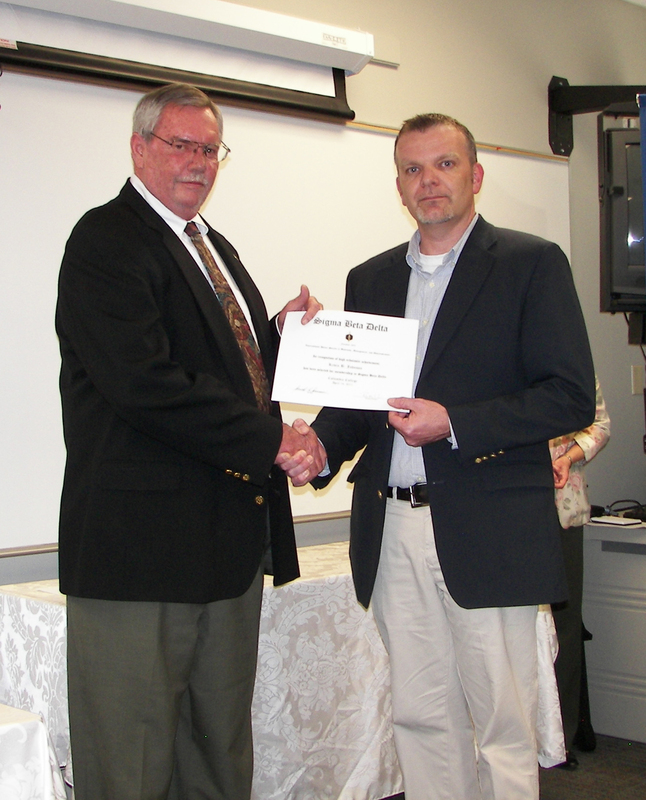 A formal induction ceremony was held on April 14 at the campus. 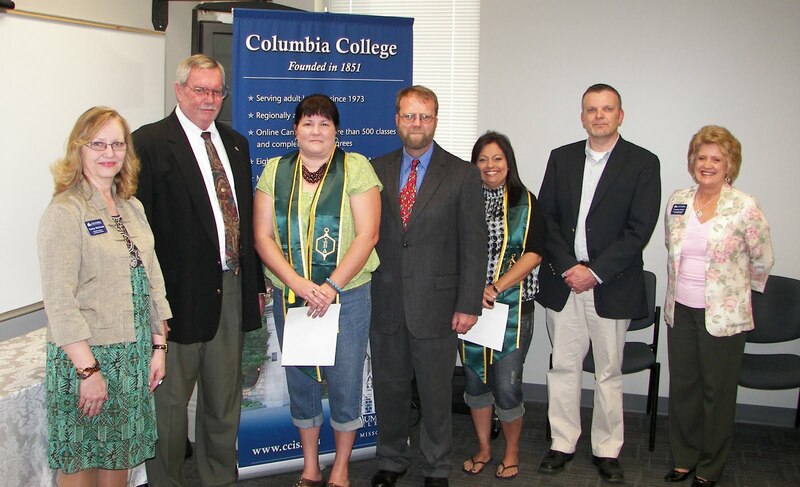 Membership in this honored chapter is reserved for juniors and seniors who rank in the top 20 percent of their class with at least a 3.5 GPA and have completed at least 30 credit hours at Columbia College toward their business administration degree. 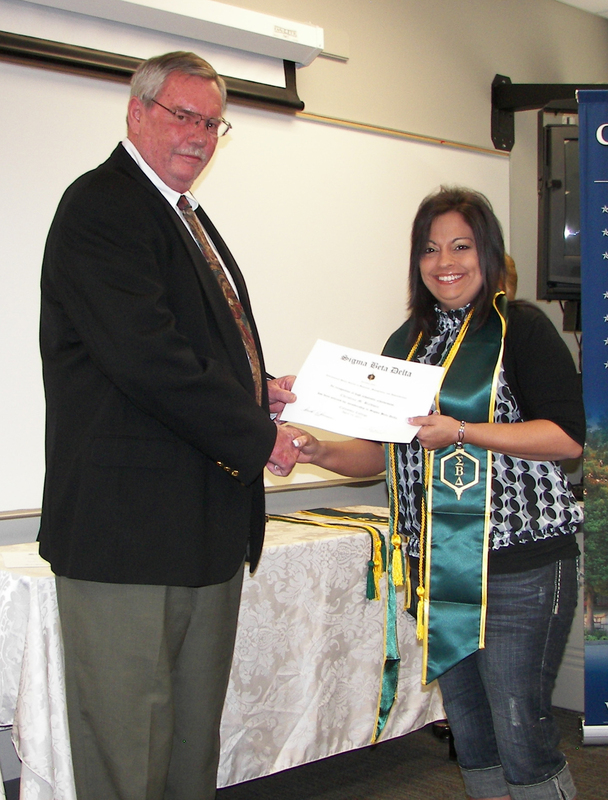 Sigma Beta Delta exists to encourage and recognize scholarship and achievement among students of business. Lake campus director John Keeney and new Sigma Beta Delta member Christina Baldwin. Lake campus director John Keeney and new Sigma Beta Delta member Tammy Garrett. Lake campus director John Keeney and new Sigma Beta Delta member Ronald Russell. 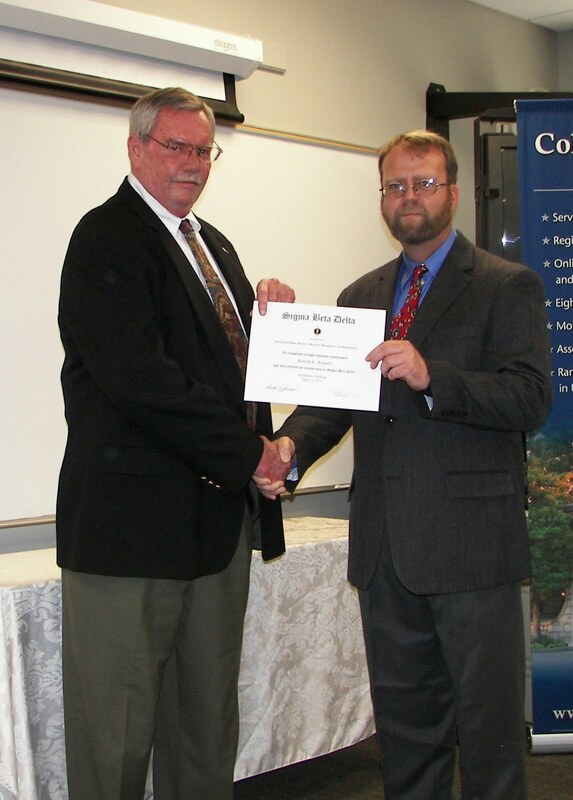 Lake campus director John Keeney and new Sigma Beta Delta member Kevin Johnson.